Coming June 2018! New packaging too! 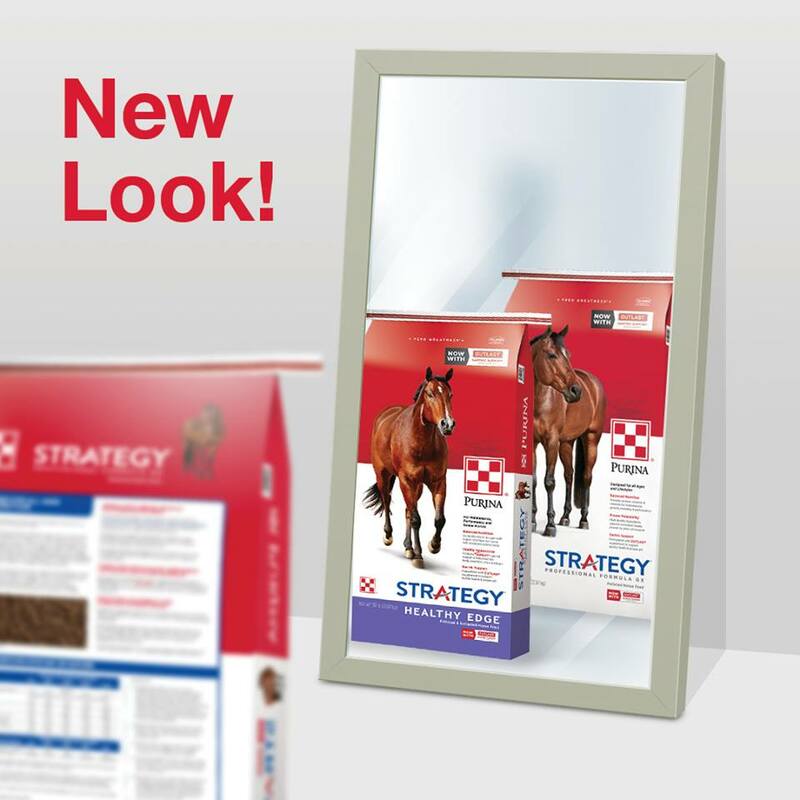 Exciting updates are coming to Purina Strategy Healthy Edge and Purina Strategy Professional Formula GX horse feed. It will continue to provide excellent nutritional support you’ve come to depend on and will not negatively affect your horses. You may be aware of the Purina Outlast Gastric Support Supplement which contains a unique blend of ingredients designed to support gastric health and proper gastric pH. It is the foundation of the Purina Gastric Health Program. You can learn more by visiting www.feedoutlast.com. We have received overwhelming praise from horse owners who followed this program since we introduced this product. 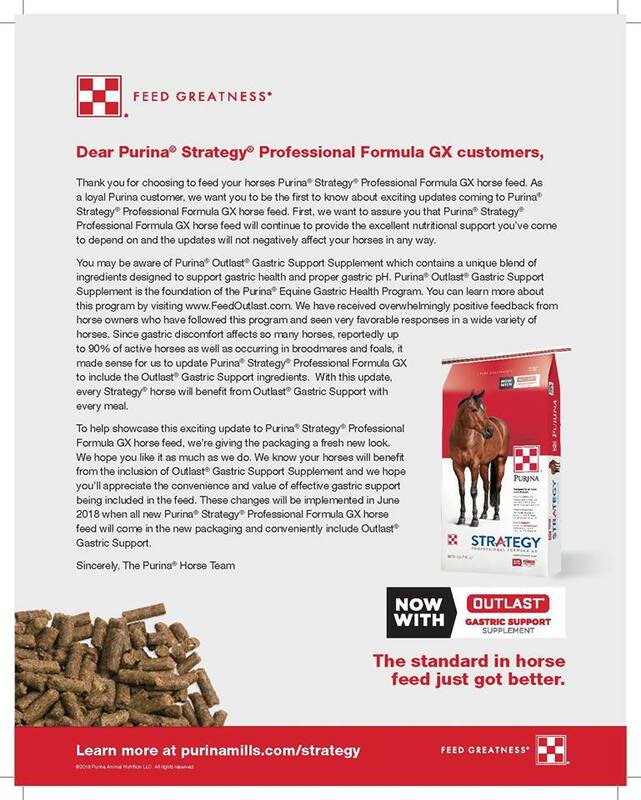 Since gastric discomfort affects so many horses, up to 90% of active horses, it made sense for us to update Purina Strategy Healthy Edge and Purina Strategy Professional Formula GX horse feed to include the Outlast Gastric Support Supplement. With this update, every Strategy horse will benefit from Outlast with every meal! More detail in the letter from Purina below. This entry was posted on Wednesday, May 30th, 2018 at 9:21 pm	and is filed under Horse, News & Updates. You can follow any responses to this entry through the RSS 2.0 feed. Both comments and pings are currently closed.